(15z) - Two great hardcover bird books both in like new conditions, Stokes Backyard Bird Book and Projects for the Birders Garden. Also a vintage stained glass butterfly on a chain and a dove. 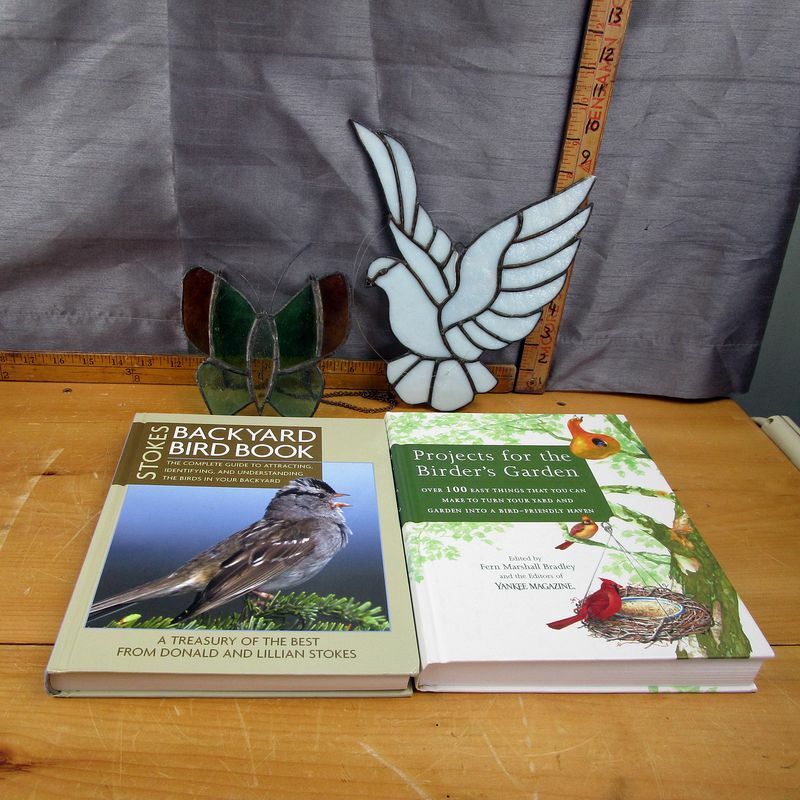 **Lot Details: (15z) - Two great hardcover bird books both in like new conditions, Stokes Backyard Bird Book and Projects for the Birders Garden. Also a vintage stained glass butterfly on a chain and a dove.